I think I am going to start a series on the blog called "To Remember". They will just be short posts with a picture or two or a short story, purely for the sake of cataloging my memories! If you know me at all, you know that my memory is very poor and I forget so many life moments! This is why I have to keep my lifelong friends close ;) (shout out Mallory and Sarah!). 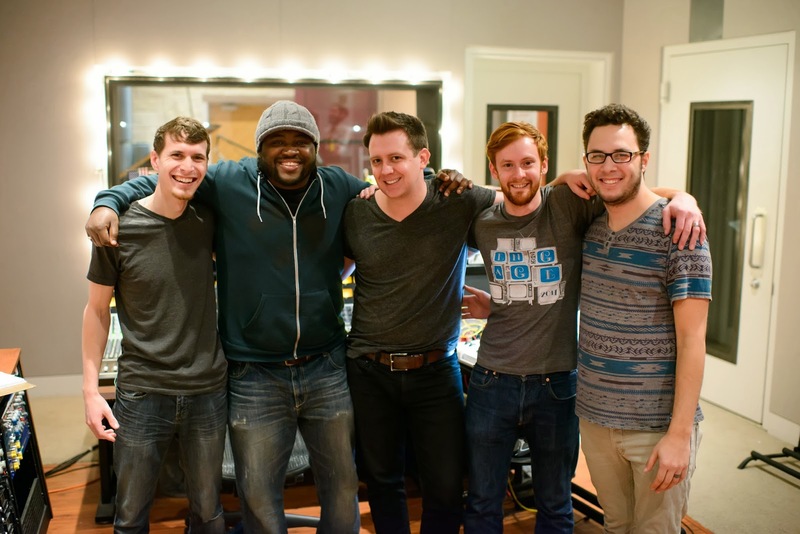 Today's thing to remember is the month of February 2014, when Levi and the band guys started recording their first album together. Jimmy McNeal will be releasing his first solo album and Levi recorded all of the drum and percussion tracks for the album. I cannot wait to see the end result! Hopefully the CD will be out by this summer!